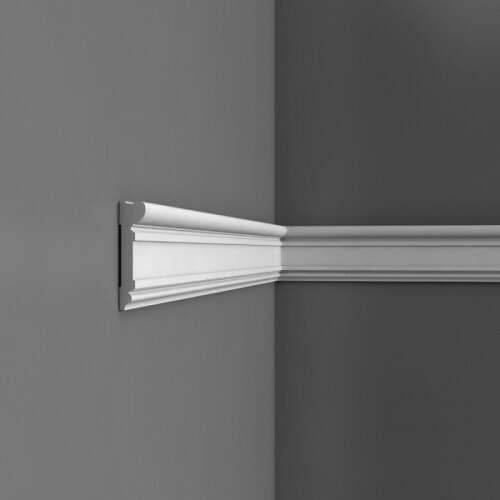 Stucco strip DX119 Orac Axxent with a wide range of applications can be installed as a cornice strip skirting board or a wall strip to break the boundary between the contrasting patterns on the same plane. Stucco is pre-coated with a primer paint, after the installation we recommend to paint stucco with acrylic or dispersion paints to an exclusive finish of the product. Stucco is resistant to moisture, washing or shock.